Early referral is best! Parents first report concerns regarding their child’s development at approximately seven months of age, yet the average referral is received at 14 months. The child does not need a medical diagnosis or confirmed delay for referral to early intervention. Any child under the age of three and who is a New Mexico resident may be eligible for services under one of the four following categories. A delay of 25% or more in speech, motor, sensory, cognitive, adaptive or social-emotional development. A diagnosed medical condition that is highly associated is resulting in a developmental delay (i.e., Down Syndrome, Autism Spectrum Disorder). A diagnosed medical or biological condition that can be associated with a developmental delay (i.e., prematurity, chronic otitis media). Due to environmental conditions that could affect your child’s development (i.e., lack of resources such as housing and food). The design of and consultation on developmentally appropriate activities that families and caregivers can include in the child’s typical day and may include activities within all developmental areas. Assess a child within the family setting, counseling and developing social skills by social workers, counselors and other qualified personnel to assist a family in understanding their child’s behavior and improve child and family interaction and other parenting skills. Provided by a dietitian/nutritionist who evaluates the child’s nutritional needs. Helping children gain skills needed for play and daily living activities, designing and providing adaptive and assistive devices, as well as addressing the sensory motor and fine motor needs of the child. Helping families and caregivers to enhance the child’s movement abilities (including crawling, standing, walking, and balance) through therapeutic activities, appropriate positioning and with adaptive and assistive devices that can be incorporated into the child’s typical day. Assisting families through intake, evaluation and eligibility determination process and facilitating the IFSP process. Service Coordinators also provide information about and make referrals to other community resources, and coordinate and ensure the delivery of all services. Helping Families and caregivers to enhance the child’s understanding of language and develop communication skills, which may include speech, sign and gestures. Helping infants by stimulating all the systems of the body for healthy growth and development. Relaxing infants through touch and the release of hormones, and providing pain relief due to gas, colic and constipation. Also forming bonding experiences between caregiver and baby through touch. Your baby will grow to trust you and have a secure attachment. Nursing services bridge the gap between the health care setting and the home. Nursing services include teaching health topics, working with families to identify and remedy potential health and safety concerns, monitoring overall health, safety, growth and nutrition of children within their home environment, follow up of care prescribed by the health care provider, support to families pre/post operatively, and empowering families to communicate with their care team. To help parents practice maximizing the well-being of infants with their caregivers. The field of infant mental health promotes optimal development and wellness of the child and family through promotion, early identification, preventive intervention, treatment and support. Staff providing these services are endorsed through the New Mexico Association of Infant Mental Health. The Mariposa Autism Service Center (MASC) is an Applied Behavior Analysis (ABA) provider. 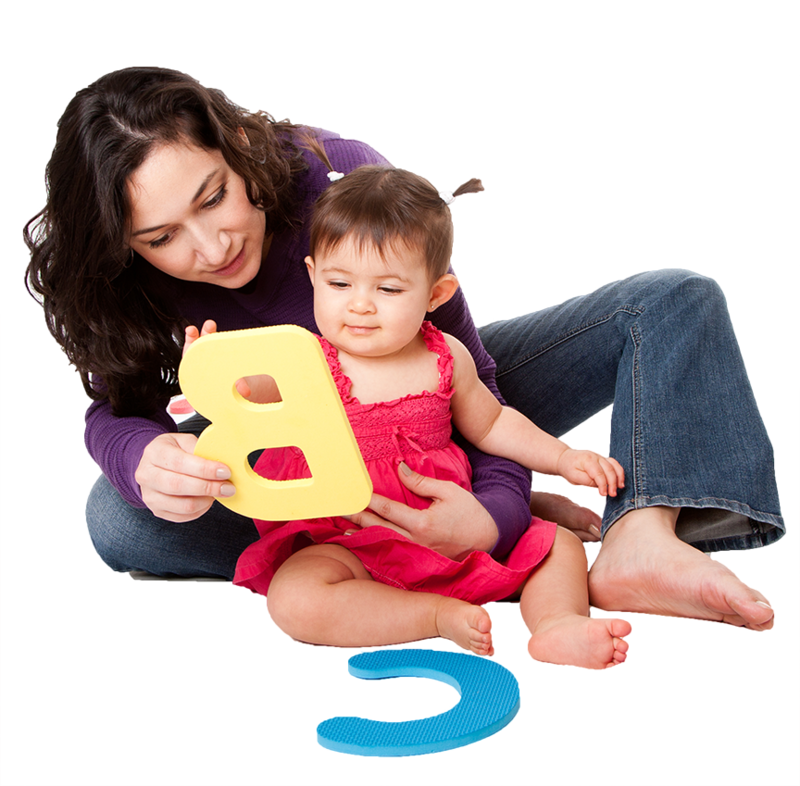 ABA therapy applies principles of behavior treatment to increase useful or desired behaviors. MASC therapists work with clients to increase language, improve communication skills, and improve attention, focus, social skills, memory, and some pre-academic skills. MASC team members also use ABA treatments to help decrease problem behaviors. Conscious Fathering Program is a hands-on class that prepares fathers for taking care of their newborn baby. This is a three-hour class that covers topics such as how to hold your baby, feeding, cleaning, comforting, and how to identify your baby’s basic needs. This is a class for fathers and taught by fathers. Call to register for a class. To download our Aprendamos Pediatric Specialist team brochure (English & Spanish) click here. At Aprendamos we believe in families first and we strive for excellence. Our Pediatric Specialty Team is made up of therapists and providers who are specialists in their fields. Speech Language Pathologists with SOS or Sequential Oral Sensory Training for babies with feeding difficulties and growth/weight problems. Physical therapists whoa re Board Certified Pediatric Specialists. Service Coordination, Developmental Instruction, Social Workers, Family Therapists, Infant Massage, Home Visiting, Parent Education and Fathering Classes. Our Pediatric Specialists are experienced in working with babies and toddlers who have been in the NICU or PICU, born premature, cerebral palsy, down syndrome, medically fragile and more. Aprendamos is a proud New Mexico Family Infant Toddler (NM FIT) Program service provider. Through the NM FIT Program services are provided at no cost to families, using a combination of Medicaid or Centennial Health, State General Funds, Individuals with Disabilities Education Act (IDEA) grant and private health insurance. All Aprendamos early intervention services are provided for the child in his/her natural environment. This includes home, daycare and other community settings. Services are modified with regard to the family’s daily routine, which also educates those having the most contact with the child. How do families receive services? Anyone can refer a child to early intervention services on the basis of a concern for his/her development. After a referral is made to Aprendamos, a service coordinator will meet with the family to offer them information regarding services. If the family consents to receiving services, the service coordinator arranges a developmental evaluation. If the child is eligible to receive services from Aprendamos, an Individualized Family Service Plan (IFSP) will be developed through a team effort. The IFSP identifies the supports and services to meet the goals designated by the team.